The story is the same all over the country. Article after article and news segment after news segment devote large chunks of their column space and air time to the helpful police officer who came all the way from Colorado just in time to warn them all about the dangers of taking even the tiniest step toward that “slippery slope” of marijuana legalization. The side effects of legalizing marijuana are unbearable, Sgt. Jim Gerhardt tells packed crowds All. Over. The. Country. “It’s been a disaster for us in Colorado”, Gerhardt always tells his audience, and taking any step towards even the most restrictive medical marijuana program will start YOUR state down the path of no return. Jim Gerhardt is a sergeant employed by the Thornton, Colorado Police Department who is assigned as a supervisor to the North Metro Drug Task force. Sgt. Gerhardt, who has been a dedicated prohibitionist for nearly 30 years, has spent a considerable amount of his “off time” over the last several years traveling the country warning audiences of the horrific dangers of legalizing marijuana. Sgt. Gerhardt, who is also the vice president of the Colorado Drug Investigators Association, has appeared in news segments and print articles in states all across the country over the last few years. He and the rest of his band of merry revenuers have also made several appearances on a National Geographic tv show in which the plot appears to be that he must convince the viewer that marijuana legalization has made his job harder. The problem with nearly every single argument that Gerhardt presents to whatever group he manages to get in front of is that his “facts” are, for the most part, either twisted, stretched or just made up on the spot. The so-called “facts” that Gerhardt use to justify his monumental travel budget are usually standard prohibitionist rhetoric, but Gerhardt often goes a step further by padding his gigantic whoppers with numbers that he must think people are either too stupid or apathetic to research. My guess is that he counts on the fact that they are. But arrest rates are still twice as high for blacks. The state has $66.1 million in excess tax revenue from recreational pot sales and the voters get to decide how it’s spent. Since Colorado voters legalized pot in 2012, prohibition supporters have warned that recreational marijuana will lead to a scourge of “drugged drivers” on the state’s roads. They were wrong. The Colorado school system saw more money raised in the first five months of weed being legalized than it saw in all of 2014, KOAA reports. This is all thanks to the marijuana tax for schools in Colorado. A 3-year-old girl who has epileptic seizures has made a dramatic improvement since moving to Colorado to be treated with medical marijuana, her parents say. They are known as “marijuana refugees” — people who have relocated or are planning to move because pot is now legal in some states. If all of this isn’t enough to make you question the SPONSORED message that Jim Gerhardt and the Colorado Drug Investigators Association are trying to sell to you then stick around for part two of our look-see, where we delve into the finances of the CDIA (a registered 501(c)(3) non-profit organization), and find out where HUNDREDS OF THOUSANDS OF DOLLARS in donations to this organization have ended up. Marijuana should be legalized for medical use.. Marijuana should not be a scheduled drug at all. The DEA and the US Government should listen to the majority of the people who are for legalization and de-scheduling of this plant. 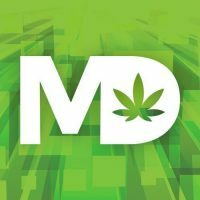 Vote for Medical Marijuana in the states that have it on the Nov. ballot.